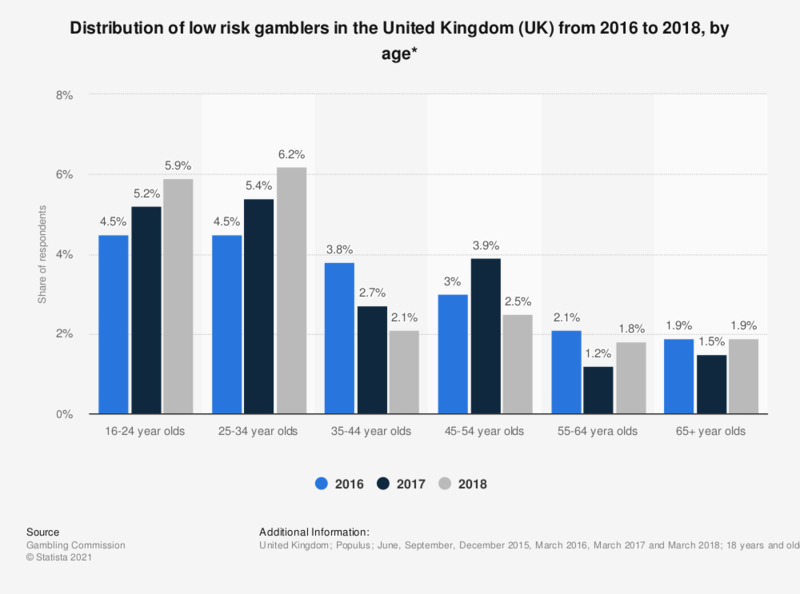 This survey shows the distribution of low risk gamblers in the United Kingdom (UK) from 2016 to 2018, by age. In 2018, it was found that 5.9 percent of 16 to 24 year olds were low risk gamblers, whereas 6.2 percent of 25 to 34 year olds were. * Source notes survey questions related to respondents' gambling participation in the past four weeks.